How the Quickdraw L1 Vaporizer improves upon a basic design. VapeWorld’s Quickdraw L1 Vaporizer is modeled after the simpler devices on the market; however, the manufacturer adjusted and upgraded its original roots to provide a fitting experience for beginners looking to try vaping. For those new to the vaping scene (or looking for a portable alternative), this device has some features that warrant consideration. The Quickdraw L1 Vaporizer’s strength lies in its practicality. While it just cannot compare to advanced sub-ohm mods or tanks, the device still holds up within its category. Its strengths and weaknesses are quite clear in its design, versatility, performance, and price. Little can be said about this e-cigarette’s design. Unlike its many rivals, it makes no real effort to stand out from the rest aesthetically – and there is absolutely nothing wrong with that. So many devices put an enormous amount of effort into looking good, only to fall flat regarding actual value and quality. The Quickdraw L1 adheres to a design that has held its own since the earlier days of vaping. One particularly convenient aspect is its visible measurement. E-liquid levels are marked using a measuring scale printed directly on the tank. This way, users do not have to eyeball the amount of liquid left. Since vaping with too little e-liquid in the tank can burn a device’s coils, this tiny feature proves invaluable. If discretion and portability is a smoker’s priority, the Quickdraw L1 fits the bill perfectly. The battery is quite small, approximately the same height and width as the tank itself. The mouthpiece is nice-looking, with a comfortable design that fights a person’s mouth correctly. Best of all, the components are easy to disassemble and reassemble for quick, simple cleaning. Being a basic vape pen, the Quickdraw L1 is not very flexible. It functions as a single wattage level, which limits the overall experience; however, this is perfect for vapers who do not need or want to fiddle with different settings. This vape is also incapable of handling high VG “premium” e-liquids, as they are too thick for the wicks to absorb efficiently. Granted, there are plenty of quality PG juices available. That being said, it is critical to choose wisely, as cheaper brands can contain particulates or chemicals that leave behind residue, which can clog up the atomizer and reduce its lifespan. Despite its small size, the lithium-ion battery has a lot of power. At 390mAh, this efficiently heats the liquid, resulting in strong flavor. Although pens are typically not suited for cloud-chasers, the Quickdraw L1 still produces large billows of smoke when compared to others of its kind. Of course, it will never match the power and performance of a sub-ohm, cloud production will no doubt surprise advanced vapers who value this feature. 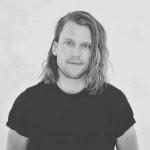 Having to change coils frequently is a huge inconvenience that plagues many advanced devices; however, the Quickdraw is incredibly efficient. In fact, most users will be able to go 4-5 weeks without switching coils. Granted, this will be reduced if individuals chain vape or use e-liquids that put a strain on the coils. While it certainly has a lot going for it, the L1 is quite pricey at $30.00. Many sub-ohm tube mods are available at a comparable cost. Similar vape pens are also much cheaper; however, $30.00 is far from being a considerable investment, so this only poses a problem for those on the tightest of budgets. 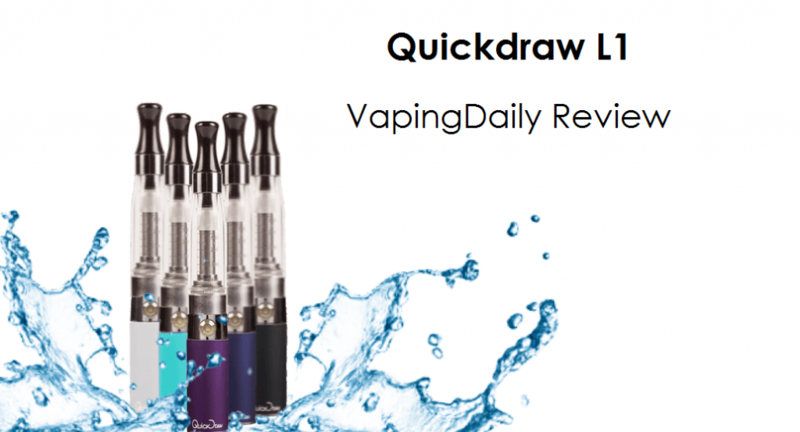 The shape and format of the Quickdraw L1 are so standard that the design has been adapted hundreds of times by different e-cigarette companies. Rather than looking at a clone, it might be more useful to examine the Cloudmaker Essential 3.0 Kit – a device similar in performance, but with some differences that put it at odds with its competitor. Although similar in shape, the Cloudmaker’s tank lacks to significant advantages that the Quickdraw L1 has. The tank is neither transparent nor does it have a measuring scale. Users have to estimate liquid levels through a thin, vertical line that does not span the entire length of the tank. The battery is also much more significant, sacrificing the portability that the Quickdraw enjoys. On the other hand, the Cloudmaker can provide 650mAh of power as a result, which outdoes the Quickdraw L1 by a significant margin. Both products feature battery life indicators via lights surrounding the fire buttons. This is standard for devices of their kind. The Quickdraw L1 is impressive, considering how this basic design has saturated the market. The manufacturer tried to stand out by offering some extra features that make it outperform its counterparts on many levels. This makes it a valuable introductory vape or portable device that belongs in any vaper’s arsenal. 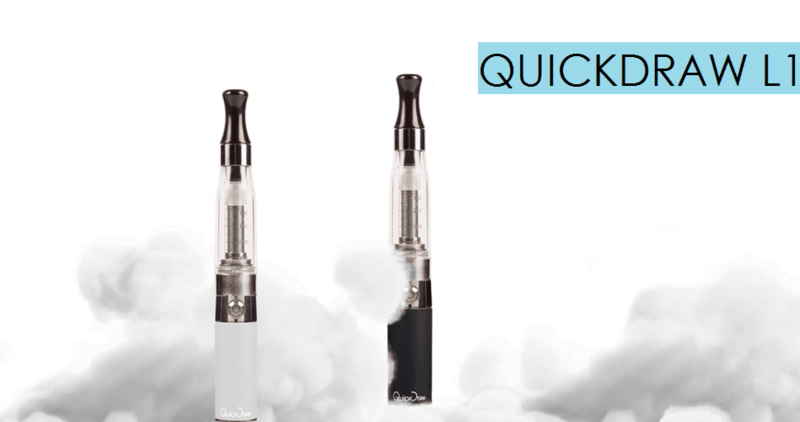 Innokin CLK Vape Pen Review: Just Click, Boom and Vape! Innokin CLK Vape Pen is a premium e-cig that has everything you need to get started with vaping right away! Check out our detailed review right here. The QuickDraw 300 series of vape pens lets you precision heat your dried herbs or other materials with its easy to swap cartridges. Read our review here.